Fresh off the podium from the Sepang 1000km, I wanted to carry on the momentum into the 12 Hours of Sepang. With only two weeks before the 12 hour-long race, I was approached with a last minute deal to drive with experienced French team, Sport Garage in their Ferrari 458 GT3. It was a glorious opportunity as it has always been a dream of mine to race a Ferrari. It will be my first time in a Ferrari 458 GT3 and my first time in a GT3 car on Sepang. I know that the leap from my usual touring front wheel drive cars to a 550bhp rear-wheel drive mid-engined car is not going to be easy but I welcomed the challenge! The race weekend began on a Thursday the 10th of December where the usual driver license and equipment checks were the first order of the day. It was the first time this race is being organised by the Stephane Ratel Organisation (SRO) and the level of organisation was nothing short of world class, everything was well laid out and we even had to do a driver test for safety codes and FIA flags. Meeting the Sport Garage team for the first time, we exchanged pleasantries and the engineer, Matthieu LaLisse quickly gave me a tour of the car. He explained the myriad of buttons that were in the car and on the steering wheel. I am not used to seeing so many buttons! I am just used to a standard steering wheel, a gear knob and three pedals. I had to learn fast and remember the function and location of each button. I also took the opportunity to pass the team Liqui Moly Race Tech Oil and Ceratec Engine Additives to be used for the gruelling 12 hour race. I had three French team mates, Romain Brandela has the most racing experience within the team as he has competed and placed well in many GT races and even completed the 24 hours of Le Mans in a LMP2 category car twice! Georges Cabbane and Jean Paul Buffin were seasoned endurance racers in the Blancpain Endurance Series and 24H series races so I knew that I was in good company. The team was not ready for the first paid practice in the morning and early afternoon so we could only have a go in the car at 5.50pm. It is the monsoon season in December at Sepang and afternoon showers were a common place. It poured in the afternoon just before the start of the free practice session making conditions extremely tricky for the drivers. Matthieu asked me to start the session even though I did not have experience in the 458 GT3, I had local knowledge of the track. I was sent out to access the track conditions on wet slicks. The track was damp, not wet enough for full slicks and not dry enough for slicks. It was a stressful time as I did not want to mess up in my first few laps. After 3 laps, as more cars were circling the track, conditions got better and I told the team to get ready the slick tires. After the slicks were put on the car, I went out for another 2 laps in the damp conditions. I could not really push the car as the track was very slick and I did not want to damage the car. By the time the other three drivers had a chance to drive the car, it was already the end of the first free practice session and the next session was at night. It was a dry but slippery track, without having driven a lap in the dry, it was very tough for me to get any type of rhythm in the car as it was very hard to get the brake and turn in markers right at night. My three French team mates had a worse time as it was their first time racing in Sepang and to drive at night in a fast car is not easy at all. We did not have a great Free Practice and Night Practice session as the car was not handling well and suffered from huge understeer. Matthieu and the mechanics made a few changes for the Free Practice session on the following day. The heavens opened again on Friday morning and I was selected to start the last Free Practice session again. Now I know how the professionals feel when they are thrown in the car during the worst conditions. My race engineer told me to access the conditions again and make the call when to change from wet slicks to full slicks. I drove a couple of laps and as the track was drying, I brought the car back to change tyres. I had a few more laps in the car and handed it over to my team mates with the track drying all the time. Unfortunately I only got to drive the car in damp conditions and still have not gotten a chance to drive the car in the day with dry conditions. I knew that Qualifying later will be a challenge as I had no idea how the car will react in the dry. The drivers’ photo taking followed after the final Free Practice session. It was a tradition for all SRO events to have the drivers of the race line up on track for a photoshoot. It was a great privilege and honour to be sharing the track with the top works factory drivers like Ferrari’s Gianmaria Bruni, James Calado, Audi’s Laurens Vanthoor, Stephane Ortelli and Bentley’s Guy Smith , Andy Soucek and a whole list of world class drivers like famous Japan GT driver Nobuteru Taniguchi. Qualifying was in the late afternoon and Romain Brandela was put in the car with used tyres to test out some setup changes after Free Practice. He was in the car for a good 40 minutes testing and was given a fresh set of tyres to set a qualifying time. It was my turn next, it will also be my first dry lap in daylight. I was only given one timed lap as the other drivers had to clock their laps before the end of the session. I drove the best I could with five lap-old tyres from Brandela, the car was understeering very badly on the slow and right-hand corners. All the drivers had the same feel and our race engineer had a job on his hands to change the setup again for the race. The team had a discussion and I was selected to start the race as I have started many endurance races at Sepang before. However, this is my first time driving such a fast car and in a full field of top professionals, I knew I was going to have a tough time. I looked forward to the challenge and got myself ready for the race. Race day started with clear blue skies and a blazing hot sun. Track temperatures were high in the 50 degrees Celsius with humidity at over 90%. It was a hot and sweaty affair to be the starting driver as I will be in the race suit and car for the longest. The pit lane opened at 1110hrs and race will start at 12 noon meaning by the time I finished my first stint I would have been in the car for a good two over hours. I knew that I had to stay hydrated and drank several bottles of water before the race. At the grid, I got a lot of attention with spectators and supporters coming to take pictures with me and the Ferrari race car. There is something magical about the Ferrari, it just has this ability to draw crowds and capture fans. After the grid parade was over, it was time to put on my helmet and get down to business. I got into the cockpit with the mechanic strapping me in, asking me if I was alright and then gave me the usual “All the best” note with a clenched fist. My heart was racing as I closed my eyes and said a prayer as I always do before a race. The 30 seconds board was shown and I fired the prancing horse’s V8 engine. Every single car ahead of me was driven by a professional, I knew that it will be a challenging first stint and I had to drive within my abilities and not try anything foolish. My goal was to find a good rhythm and to drive a consistent error free stint. The Malaysian flag waved, signalling the start of the formation lap, cars were accelerating and braking, weaving left and right to warm up the tyres. There were butterflies in my stomach and adrenalin pumping through my body, I was all ready for the race start. After the last turn, the lights turned green and it was pedal to the metal, I set my fastest lap of the car in the opening laps as it was my first time on brand new tyres but I also had a full tank of gas in the car. In the first few laps, I was battling with Peter Kox in the Audi R8 LMS Cup and another professional in the Lamborghini Huracan. I managed to overtake the Huracan as he made an error and tried to close the gap with Peter Kox, however after five laps I experienced a huge drop off in pace from the tyres and the car was understeering badly again. I then maintained a consistent pace and completed my full 65 minute stint. My physical training leading up to the race paid off as I was not fatigued even in the Sepang heat and humidity. After handing the car over to my other team mates, I went to shower to cool off. I think the heavens decided to give Sepang a shower to cool things off too as after three hours of racing, the heavens opened and it quickly brought out the red flag as there were rivers on the track making racing impossible. The race was red flagged for more than an hour. Ten minutes before the red flag session was over, I was sent out in the wet conditions for my second stint as I had a good feel for wet racing. All suited up, I climbed into the car and started the engine. A driver’s nightmare before a wet stint, the display screen showed “TC OFF/TC FAILURE”. We had no time to rectify the fault, I had to deal with so many uncertainties as I had no reference lap in my database for wet racing in a 458 GT3 and this was my first time racing with wet slicks in a full wet Sepang. I have always enjoyed racing in the wet and trusted myself to rely on my driver instincts. The restart was treacherous to say the least, entering the first corner at 230+km/h with all the spray of water from the cars ahead meant the windscreen was a sea of water and I had to look out the side of the car to get a reference for my braking point. I took the conservative route for the start of the race and eased into the opening laps. I quickly found that the car was actually better to drive in the wet than the dry. I then used my local knowledge of Sepang to set very fast and consistent laps in the wet. I was later told that I was matching several of the professionals lap times in the wet. I stayed in the car for the maximum 65 minutes driving a fast and error free stint. The team manager, engineer and team mates were very impressed by my performance and clapped for me as I returned to the pits. Unfortunately the race was halted again later due to another bout of heavy downpour that lasted through the night making conditions dangerous for racing. There was a safety period for over 1 hour and we quickly reached the last hour of the race. Romain Brandela had the least time in the car up till then and he was asked to do a stint and a half and I was to drive the last 30 minutes of the race. However, at 2315hrs it was reported that our car was very slow on track. There was damage to the rear right suspension and driveshaft. Brandela limped the car back to the pits and the team did a quick fix before sending me out. In my last stint, the car was very difficult to drive as coupled with the rain, the rear of the car did not seem stable in the corners. I did my best to bring the car home and we crossed the line finally after 12 hours to complete the race! It was a great experience for me in the Ferrari 458 GT3 and having had 2 full stints in the rain interrupted race was a blessing, giving me much needed seat time in the dry and wet. The second stint in the wet without Traction Control and still having the ability to match some of the professionals in the trying conditions was a good validation of my driving ability. I hope to be given more chances in another GT car in the near future to build up and sharpen my driving skills. 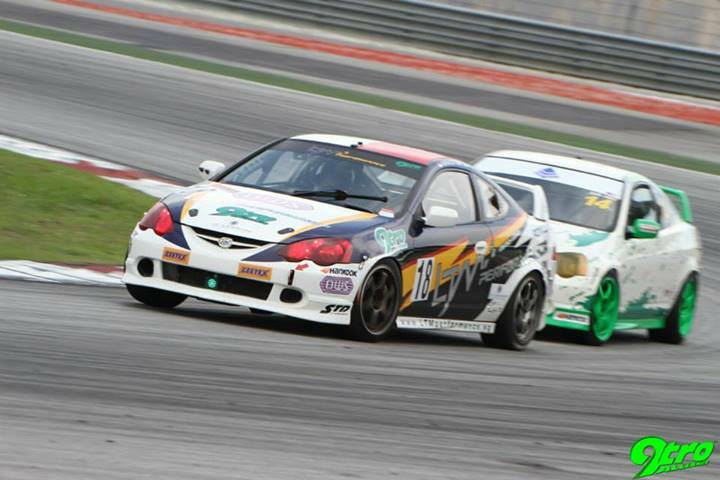 2008 was the year I entered my first FIA sanctioned race, back then it was called the Malaysia Merdeka Endurance Race. I joined the race with N1 Racing team in a Honda Integra DC2, it was a dream start of my racing career where we were constantly in podium position throughout the race until at 11 hours and 56 minutes, disaster struck as the engine blew. I was completely devastated as I was driving the car at a cruising pace, all the time thinking that we will finish second as first place was too far ahead and it was impossible for the third place car to catch us at the time. A review of the data showed a mistake was made by the previous team driver 45 minutes before the end of the race and that had incurred damage on the engine. I could not sleep for the whole week after the race as we fell from a podium finish to a DNF (did not finish). It was a bitter pill to swallow but I learnt quickly that in endurance races, we should never take anything for granted until the chequered flag is flown. 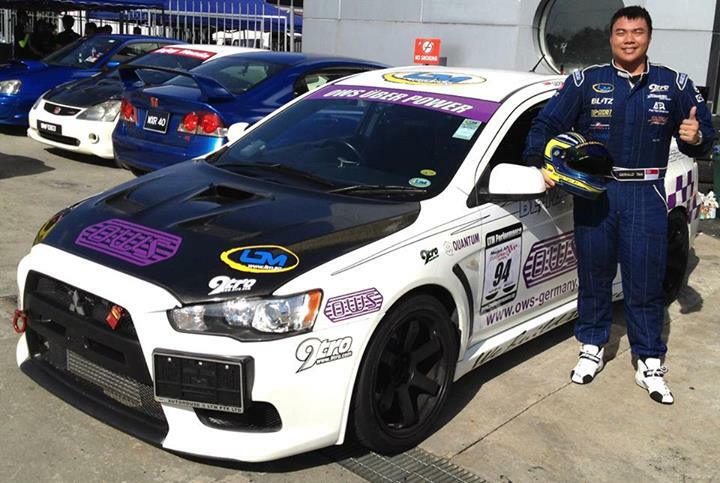 Seven years on, with a lot more endurance racing experience under my belt, I made a return to N1 Racing team, this time in a Proton Satria Neo race car. It will be my first time racing in a Satria Neo and my debut in the Sepang 1000km. It was a field of fierce competitors with Proton and Honda fielding works teams, J’s Racing entering with their Super Taikyu-spec Honda Fit and a whole list of star drivers. It was going to be a weekend of close racing and great fun as I was teaming up with my good buddies, Lim Keong Liam and Shawn Peh! The weekend’s action began as usual on a Thursday with Free Practice, all three drivers got our chance to drive the car and we made a few setup changes to suit our style of driving. We have decided as a team that we will want to take part in the Independent Cup (I-cup) which means we will only have 16 pieces of Hankook Semi-Slicks (Z221) starting from Qualifying to the whole eight and a half hour race. I knew right from the start that tyre management will be extremely crucial and discussed a plan with our Team Manager, Julian Ng. We had a discussion on tyre allocation, drawing up an excel spreadsheet and a plan for various race scenarios. As the saying goes, if you fail to plan, you plan to fail, while you can never plan for everything in an endurance race, you will definitely need a road map to fall back on. Starting qualifying session as Driver 1, I clocked a time of 2 minutes 39 seconds with a smooth driving style. I could not attack the track as usual because I had to keep the big picture in mind, tyre conservation was the name of the game. While I could have driven a lot faster, I was pleased that it was the first time in the history of the car that it broke the 2 minutes 40 seconds barrier. I kept the tyres in good condition and used the rest of the session to scrub in the other sets of tyres in preparation for the long race ahead. The other drivers did the same for their session and we managed to clock a combined average time of 2 minutes 41 seconds to be third in the I-cup category. It was a decent result as our eyes were on the race finish rather than starting position. I was the most experienced and fastest driver of the car and thus was selected to start the race. Starting the race is always exciting as all the cars are side by side where the racing is always expected to be bumper to bumper. The race was scheduled to start at 12 noon when the sun is at its brightest and track temperatures were around 50 degrees Celsius. It was blazing hot to be standing in the sun on the starting grid. After the usual festivities ended, it was time to get serious, when the air horn sounded and the five minute board was shown, the grid gradually cleared leaving the drivers alone in the cockpit of their race cars. Engines revving and heart pumping, all the drivers were getting ready for the formation lap. I was in my car saying a prayer together with my Team Manager, Julian, visualizing the first corner and my plan for the race. The green flag waved and all the cars moved off for the formation lap. I was 100% focused on the task ahead; get into a good rhythm, drive a smooth and clean first stint and hand over the car to the next driver. During the formation lap, the grid was close together at the back straight and I was all ready to pounce as the lights turned green. With all the cars having similar horsepower, it was really close going into Turn 1, the cars were within inches of one another jostling for position. I had a clean and close fight in the starting few laps with experienced GT driver Hiroshi Hamaguchi and PCCA Class B winner Alif Hamdan. I was pushing really hard to try and get past them to get a clear track. It was close racing as the three of us were like in a synchronised dance, flowing from one corner to the next, I was accessing the situation and made a decisive move by out braking the both of them. After a few laps, I managed to break clear and clocked several fast laps claiming first in class and up to fifth overall. By the end of my stint I was 40 seconds clear from the second placed car, things were looking rosy at that time! It was 70 minutes into the race, there was a flurry of activity in the pits as teams were refuelling their cars, changing driver and tyres. I came into the pits as well and jumped out of the car as fast as possible to minimise time lost in the pits. However, due to a fuelling issue, a lot of fuel leaked and the mechanics had to clean up the mess, the car was then pushed into the garage. Unfortunately, N1 Racing’s other car had a pit stop shortly after ours and the mechanics had to focus on the other car first while leaving our car in the garage. We lost 6 minutes of precious time in the first round of pit stops and tumbled down the order to be eighth in class. Liam was the next driver, he went out and set consistent and fast laps catching up to fifth in class during his incident free stint. Shawn was up next but dark clouds gathered ominously above Sepang, it was a last minute team call to put me in the car next as I was quick in the wet. I got suited up and went for my second stint in the rain. I used my experience in the tough conditions, lapping between 6 and 8 seconds faster than cars ahead of me. The wet conditions played into our favour as we caught up from fifth to second in class during my stint. I handed the car to Shawn who did a great stint as he improved 2 seconds per lap over his qualifying time. He worked hard on his technique and lines to set a faster time, he drove a clean and incident free stint. However, due to a miscommunication, he pitted earlier than expected. Liam was not ready when Shawn came in and during the driver change we lost another 1 minute. To make things worse, there was an issue with the seat rail and Liam could not reach the clutch pedals, another minute lost. It was only the fourth hour of the race and we have lost 8 minutes in total already! The mechanics reported that they needed a further 40 seconds to rectify the seat rail issue during the next driver change. 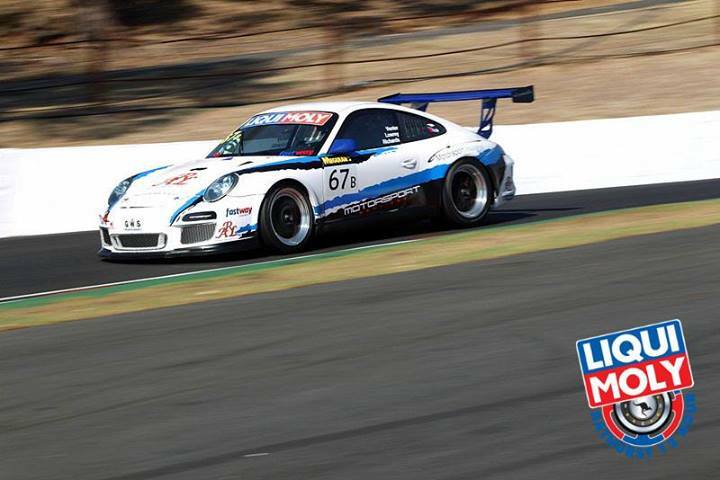 Liam went on and drove a good stint as usual and we managed to remain second in class as our pace was good. During his stint, Julian and I discussed the optimum driver and tyre strategy for the remaining two and half hours of race time. We decided to shorten Shawn’s stint while giving me used tyres for my stint. Using the used tyres for my last stint in the dusk proved to be a good gamble as I still managed to clock a good pace. We used every single bit of the tyre as by the time I entered the pit, the tyre was down to its threads! Liam had a fresh set of tyres and was tasked to push as hard as he could for the last stint. However, first place was just too far ahead and even though Liam put in a great final stint, it was too little too late. The pit stop errors cost us a grand total of about 9 minutes, if we did not have the pit issues, we would have won our class by two laps and may have even finished third overall against the factory teams who have unlimited tyres for their race. In the end we were second in class and sixth overall, a decent result with all things considered. It was a nice feeling, poetic even to return to N1 Racing team seven years later, together with my 2008 team mate Liam and actually complete the endurance race in second position. This race has buried all the devastation of our team’s DNF in second place back in 2008. It was pure joy to stand on the podium with your team and supporters cheering for you. 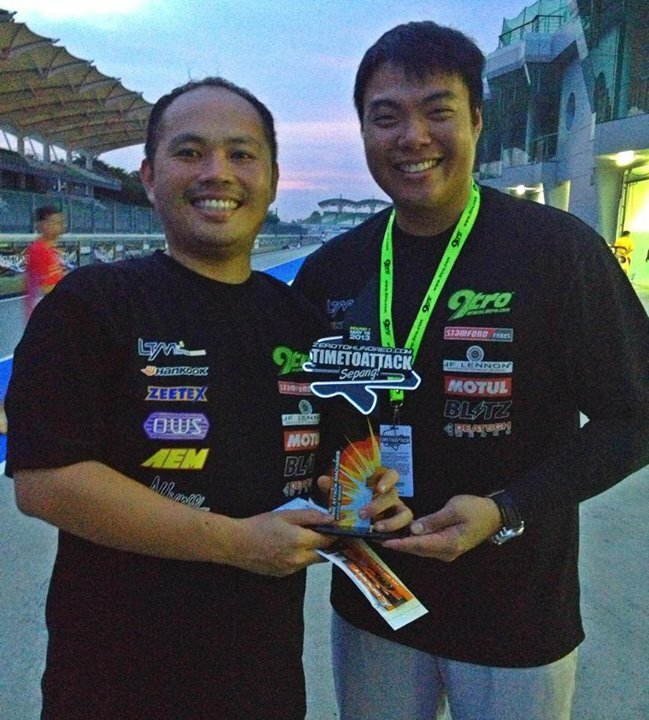 This was my first endurance race podium ever in Sepang. While standing on the podium my thoughts already shifted to the next race taking place in two weeks’ time, the Sepang 12 Hours. Will I do well in that race? I certainly hope to carry the momentum from Sepang 1000km to the Sepang 12 Hours. Read the next race report for the details of the 12 hour race! Gerald Tan has signed with Team Sport Garage for the most prestigious endurance racing event in Asia, the 2015 Sepang 12 Hours. 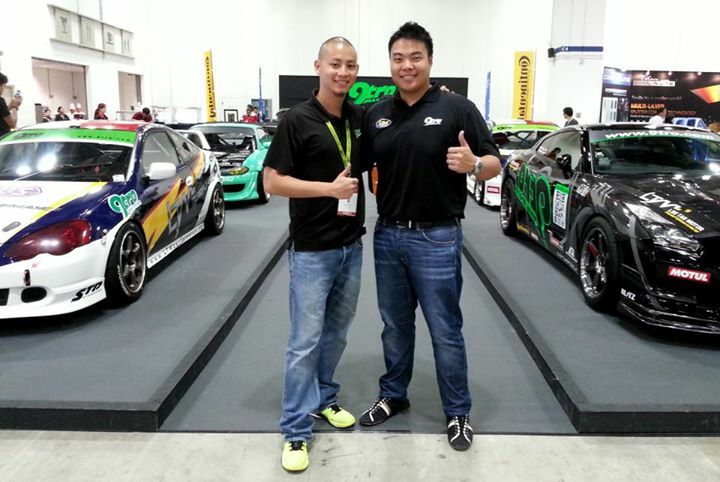 He is the sole Singaporean driver in this multinational driver field. The Sepang 12 Hours is a joint organisation between Sepang and the SRO Motorsports Group, it will be part of the new Intercontinental GT Challenge to be launched in 2016. The blue riband event of the Asia-Pacific endurance scene will act as a prologue to the new series. The 2015 edition of the Sepang 12 Hours will see 11 prestigious brands competing like Audi, Bentley, Ferrari, Honda, Lamborghini, Lotus, McLaren, Mercedes, Porsche, Subaru and Toyota. With major teams from both Europe and the Australasian region at the start of the Sepang 12 Hours, the race is set to be nail biting from start to finish. The majority of entrants will participate in the GT3 class, highlighting the attractiveness of GT3 racing. “It is a dream of mine to race in a Ferrari, I have loved the brand all my life and I cannot believe that I am given the chance to race the 458 GT3 in what can be considered my home track and event. Fresh of the podium from the recently completed Sepang 1000km, I am really looking forward to carry the momentum into the 12 Hours of Sepang. Although this is the first time I will be driving with Sport Garage, their credentials in GT racing is nothing short of stellar and I am confident that our team will feature strongly in the GT3 class. Several global TV networks will be providing live coverage of this race. In South East Asia, Fox Sports Asia will show large parts of the race live through Fox Sports 3, Fox Play, the full race is available live on their website. Race highlights will be shown internationally on Astro Network, 7 Australia, Motor Trend/Torque Channel, Beln, Fox Sports Africa and Latin America. There will also be a live feed on the official website, http://www.sepang12hours.com and on the Blancpain GT Series website, with expert commentary from David Addison and Jack Nicholls. 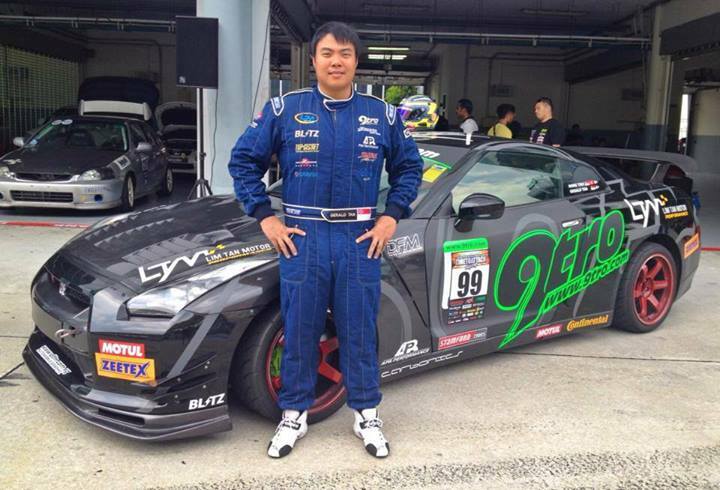 Experienced endurance racer Gerald Tan will be returning to his home track and race at the 12H of Sepang this 28th August – 31st August 2014. The 12H Sepang race has become one of the toughest and most significant 12-hour endurance races in the world and has been attracting a growing number of top teams from Asia and around the world. 2013 saw one of the best grids for many years lined up to do battle for honours in all classes and the event was overall a great success. 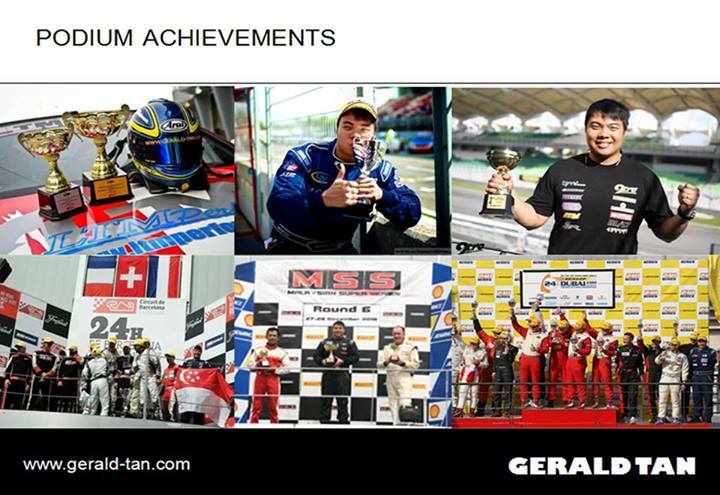 Gerald has raced in the 12H of Sepang for 3 consecutive years from 2008 to 2010 in a Honda Integra and has since started his exploration of other endurance races in Dubai and Europe. In 2011, Gerald raced the 24H of Dubai and finished 3rd in class in a BMW 130i. 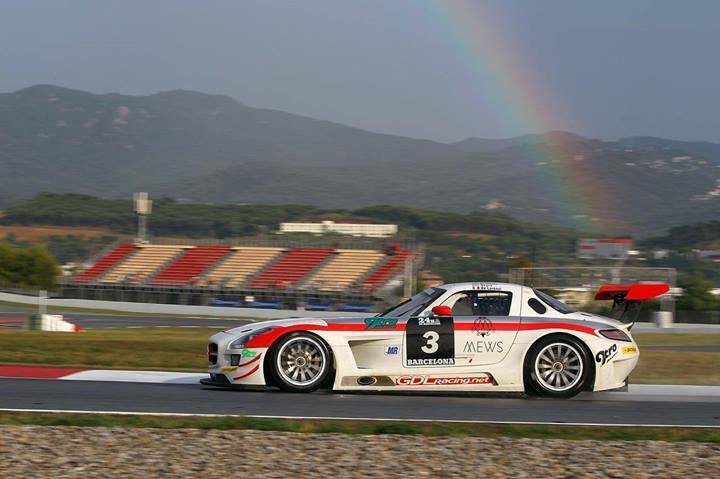 2012 saw Gerald racing in the 24H of Barcelona in a BMW 130i and the 24H of Silverstone in a Ultima GTR. In Gerald’s first foray into GT racing, he managed to podium the 24H of Barcelona in 2013 in a 997 GT3 Cup S and has since completed the 12H of Mugello in a Mercedes SLS GT3 and the 25H Spa Fun Cup. Motors TV will be broadcasting the one hour race program on September 10th 6:25pm, and Fox Sports will be running the show through September 5th-12th, with news updates shown on Fox Sports Central in the lead up to the event. 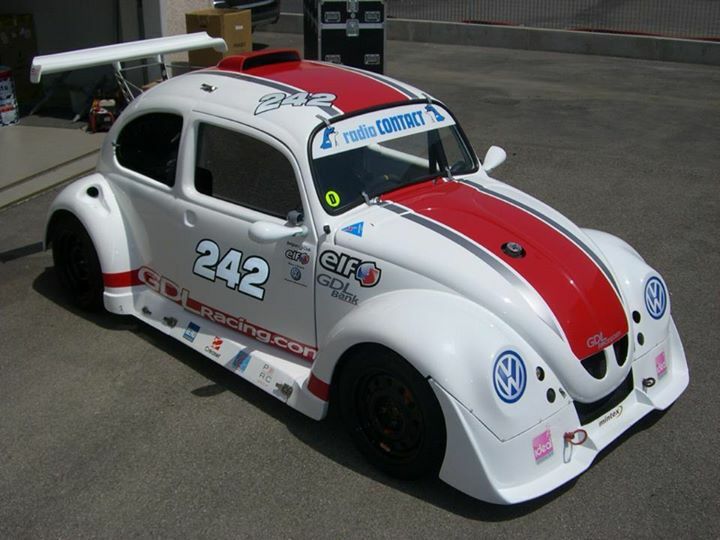 GDL Racing is set to race for the seventh time the 25h VW Fun Cup at the Spa-Francorchamps circuit next weekend. The Belgian race opened to the Volkswagen-powered cars, is scheduled for 12-13 July. After taking six wins in a row in the Italian group, the Gianluca De Lorenzi’s squad aims at the top again. In 2012 GDL Racing scored ninth overall and third in 2013 – no other Italian team achieved such result in 20 editions – when it claimed the pole position and the victory in the Diesel class, completing the race with all the three cars. “It will be very difficult to repeat the same result of 2013. – Gianluca De Lorenzi commented – Furthermore this year we have 3 liters less of fuel and every race is different from the others”. 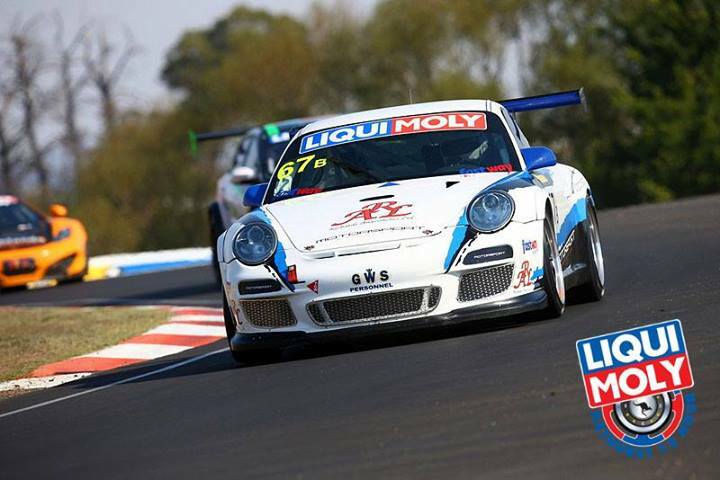 The GDL Racing team will enter three cars also in the 2014 race, one of them for the all-Australian crew Niall-Niall-Stutterd-Piavanini. On the second car Gianluca De Lorenzi will share the wheel with Canadian Perrin, Malaysian Koeng Liam and Singaporean Gerald Tan. A third car will be for Canadian Lee, American Pham and Hong Kong’s Nigel Farmer. 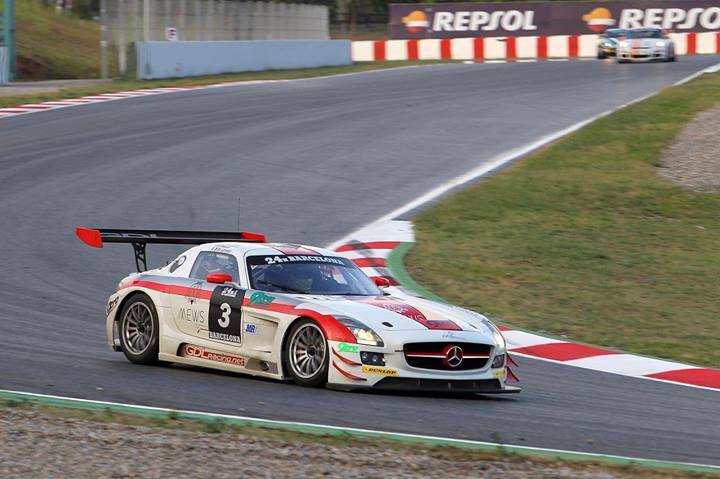 Gerald Tan debut in the Mercedes SLS GT3 to Kick Start 2014 race season at the 12H of Italy-Mugello. 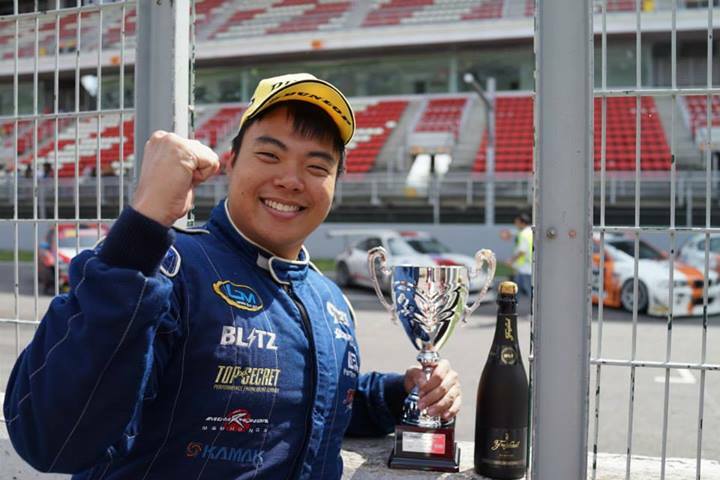 Singapore, 28 February 2014 – Gerald Tan is scheduled to kick-off his 2014 season in the 12H of Mugello in Florence Italy. The 12H of Mugello is a new event added to the calendar and will be a great chance for European teams to prepare for the start of the racing season. Organisers are expecting a packed field of International Teams and Drivers. 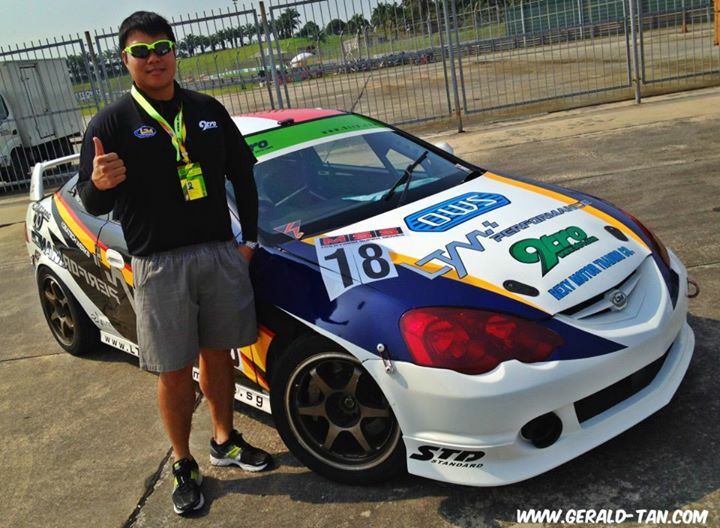 Singaporean Gerald has regularly become the sole representative of the national flag at these prestigious endurance events. 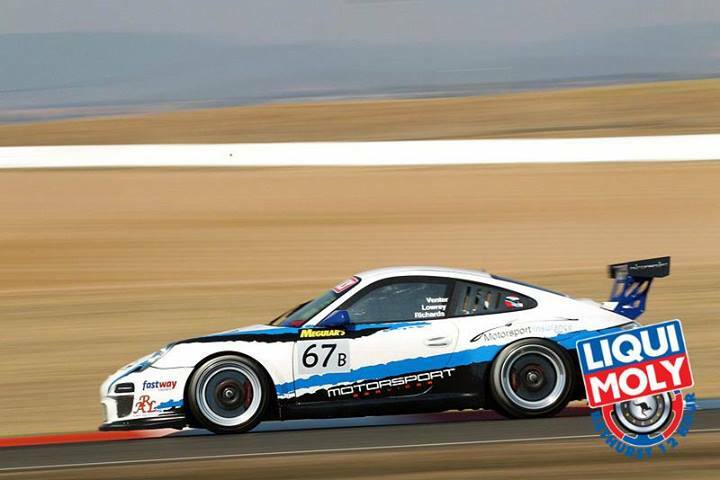 Following his podium success in the 24H of Barcelona in a Porsche 997 GT3 Cup S, top Italian team GDL Racing contracted Gerald for the 2014 season. 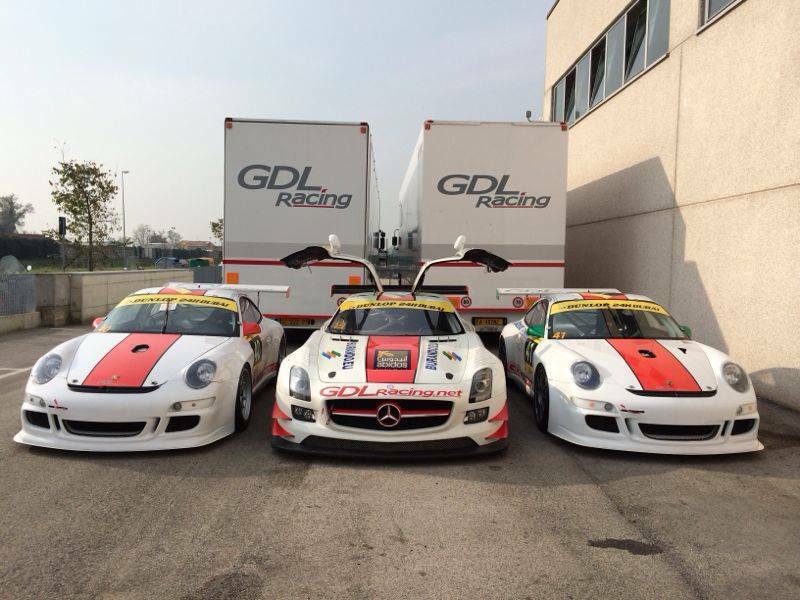 GDL Racing will be fielding a strong line-up of cars and drivers for the Italian race as it is set in their home ground. 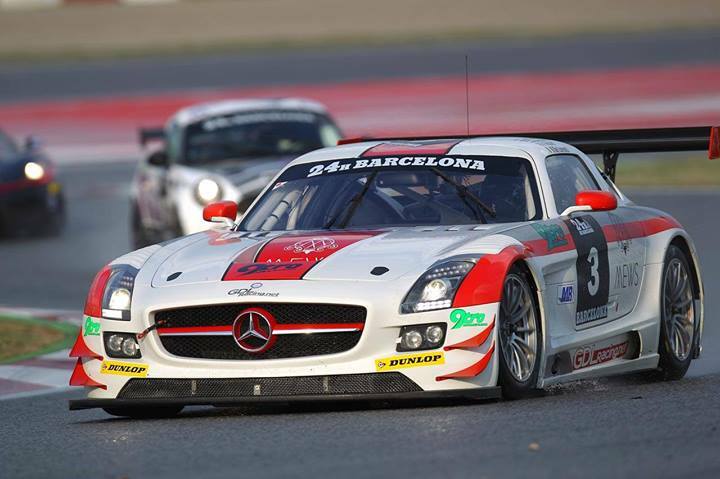 Gerald will be racing in a Mercedes SLS GT3, his first time in a full specification GT3 car. Gerald is an experienced endurance racer with several 24H races like the 24H of Dubai, Silverstone and Barcelona under his belt including multiple appearances at the 12H of Sepang. 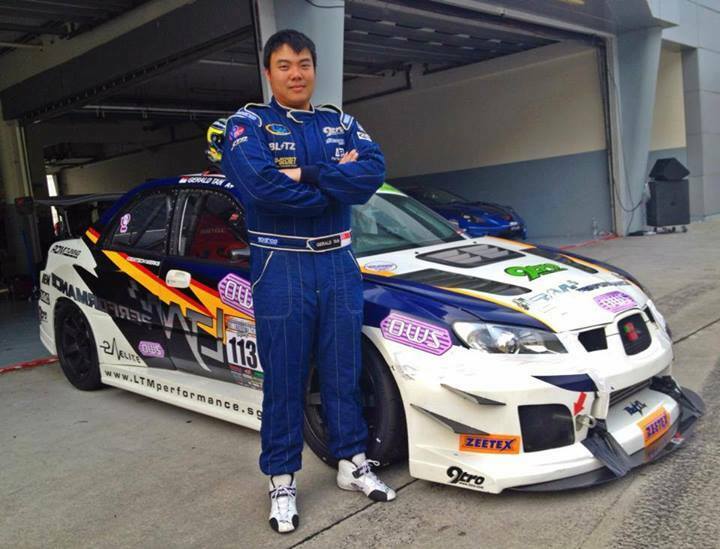 Besides endurance races, he races regularly in the Malaysian Super Series with Team LTM-9tro in the Touring Production Category. 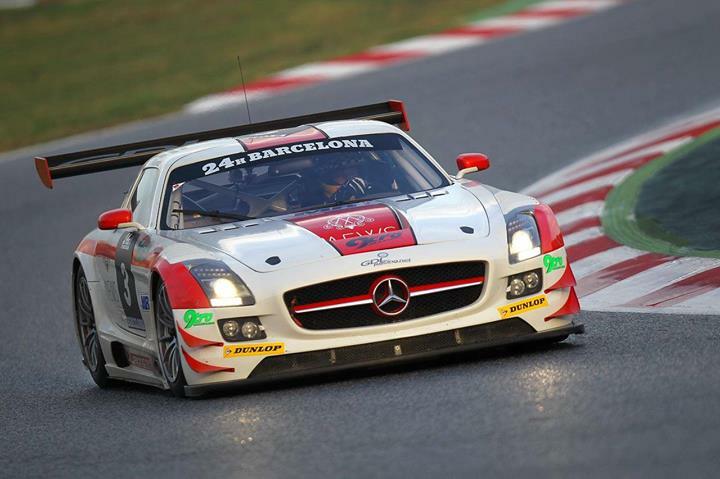 “I am ecstatic to be driving in the SLS GT3! 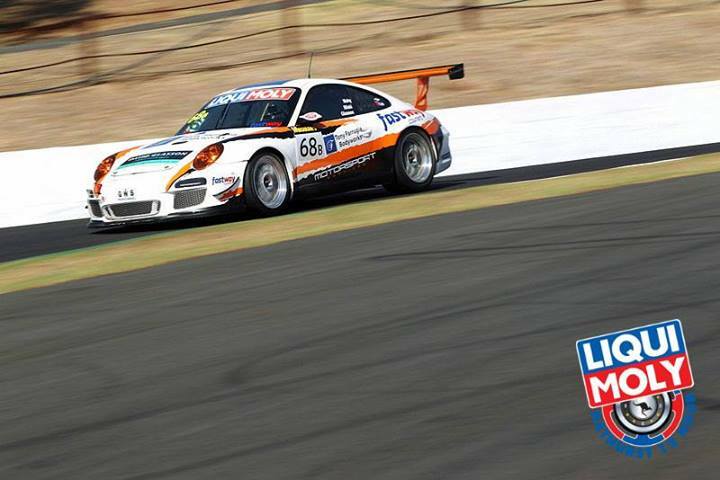 I have always dreamt of racing in a GT3 car and my opportunity has finally come! I am very happy that GDL Racing has given me this opportunity again to race with the team. The team is a proper works team and I had a great time in Barcelona. I am eagerly anticipating my first taste of the SLS GT! But as always, we have to be focused and stay in the moment. I hope to bring glory for Singapore on European soil again!” said Gerald. Teams and drivers will gather at the Autodromo Internazionale del Mugello in the rolling hills of Tuscany in Italy for the next round of this year’s 24H SERIES powered by Dunlop: the inaugural Dunlop 12H ITALY-MUGELLO, to be held on March 14 and 15. There are already over 50 teams registered to participate in this endurance race for GTs, touring cars and 24H Specials. This year, the ‘Autodromo Internazionale del Mugello’ is celebrating its 40th anniversary as a permanent circuit, but, of course, racing heritage in Tuscany goes back much longer. The first roadraces already were held there in the 1920s. The current Mugello circuit, well-known as the venue for the annual Italian round of the MotoGP series, is a state-of-the-art facility with plenty of undulation, numerous opportunities for overtaking and challenging corners. The beautiful landscape of Tuscany serves as a breath-taking backdrop. 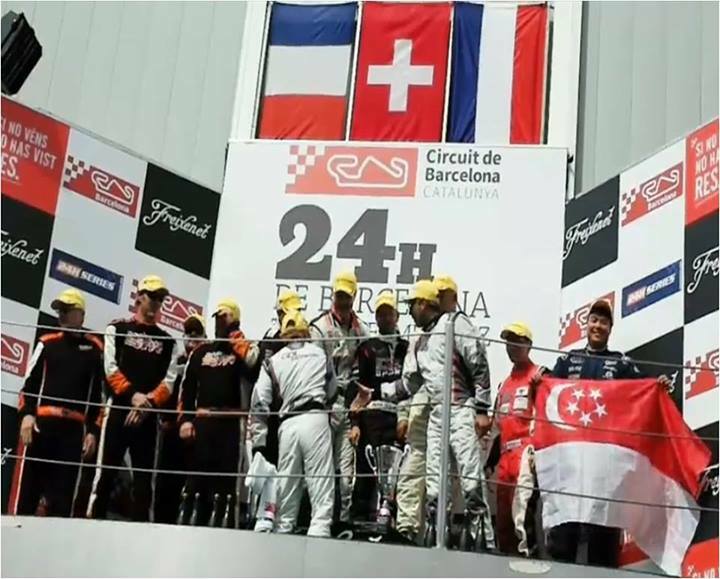 My podium at the 24H of Barcelona with the GDL Racing Page Porsche GT3 Cup S was definitely a highlight of the year. First time in a GT car and finishing on the international podium! Setting a 2m 22.2s time in the LTM Performance Singapore Subaru WRX STi race car at the Round 1 of the Zerotohundred.com ‘(00) TimeToAttack while winning the Time Attack Machines class was another highlight considering that was my first time in the car. The car has plenty of potential left in it, during the TTA, the car had braking issues and boost issues. A great result considering the circumstances. The whole season of Malaysian Super Series was a huge let down though. The season started off great when we set a blistering time of 2m 33.2s in race 1 only to be protested for a technical infringement. The worst part of this was the protester was running blatantly illegal parts himself, but this is the ugly side of motorsports. MSS Round 2 ended sadly with a blown engine while in 2nd place. Round 3 went smoothly with 2nd place in the bag until a pit stop error leaving me in 4th. Round 4 ended real early with a blown engine in qualifying. Round 5 we were once again competitive on pace but had problems with misfiring. Endless mechanical failures and errors meant a disastrous season for Team LTM 9tro Racing. We can have all the pace in the world but we need reliability to finish a race and have sustainable results. Lets see if we will return for another season of MSS in 2014. 2013 has been a great season of seat time for me, I have never been to the track more than 2013. I want to thank the multiple sponsors that have made this possible for me. Your contribution has enabled me to further my passion and development as a driver. Many doors have been opened to me for 2014, I am looking forward to an awesome 2014! I just secured an amazing drive to kick start 2014. Press release to follow shortly!